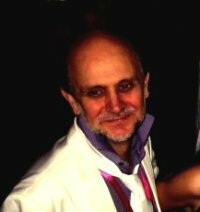 John Farndon is an internationally known author, as well as a playwright, composer and songwriter, whose work has been performed at such theatres as the Donmar and Almeida in London and the Salisbury Playhouse and selected for showcases, such as Beyond the Gate. He has written hundreds of books, which have sold millions of copies around the world in most major languages and include many best-sellers, such as the award-winning Do Not Open, which received rave reviews in the USA and became a cult-hit as well as featuring on the New York Times and Washington Post best-seller lists. In earlier years, he wrote mostly for children, and has been shortlisted a record four times for the junior Science Book prize. Books such as How Science Works and How the Earth Works each sold over a million copies worldwide. But recently he has written much more for adults. Many of his books focus on popular science, and in particular earth science, nature, and environmental issues. 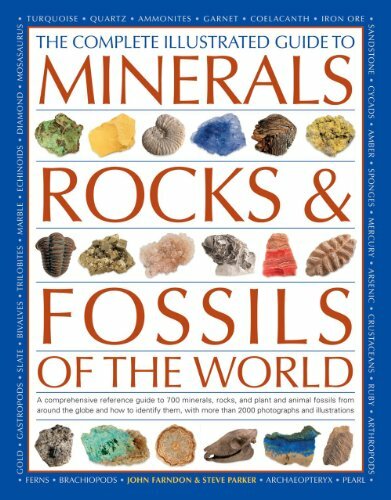 His Practical Encyclopedia of Rocks and Mineral is widely used as a reference work by geologists, while The Atlas of Oceans, his big book on endangered life in the oceans for Yale in the USA (A&C Black in the UK and Australian Geographic in Australia), garnered glowing reports prepublication from major figures such as the Cousteaus, Carl Safina, Nancy Knowlton and Harm de Blij. But he has covered a wide range of topics, from contemporary China to the food market. The history of ideas and intellectual curiosity is a particular speciality. In 2010, his book for Icon Do You Think You're Clever? was a best-seller, reaching the top 20 on Amazon and the top 10 in South Africa and Turkey, and was shortlisted for the Society of Authors Education Award. The follow-up The Worldâ€™s Greatest Idea was selected as one of the top 50 Wish List books of the year in South Africa. He has been interviewed extensively on radio and TV stations around the world, and conducted talks, demonstrations and displays at many events, from the Brighton Science Festival to the Oxford Literary Festival. Find the best price forDo You Still Think You're Clever? 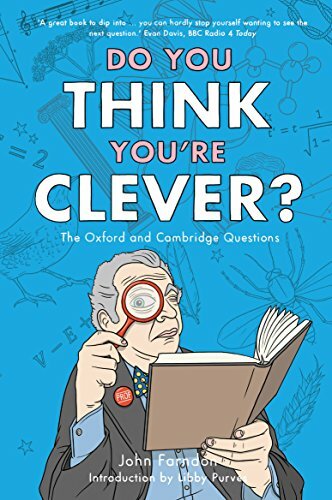 From the ever-curious and acclaimed mind that brought you the bestselling Do You Think You're Clever?â€”fifty thousand copies sold worldwideâ€”comes a brand-new trip to the far reaches of the intellectual universe, courtesy of even more notoriously provocative interview questions deployed by the universities of Oxford and Cambridge. Whether you're applying to an elite university, a company like Google or Microsoft, or just want a to give your brain a workout, this is the book for you. John Farndon is the author of numerous books on science, ideas, and the natural environment, including many in Dorling Kindersley's Eyewitness series, as well as the award-winning Do Not Open, which was both a New York Times and Washington Post bestseller. He has been shortlisted a record five times for the Royal Society Junior Science Book Prize. Do You Think You're Clever? was shortlisted for the Society of Authors Education Award. Canada's Globe and Mail named his Atlas of Oceans a 2011 Top Ten Science Book. He is currently writing The Omnipaedia for Square Peg. 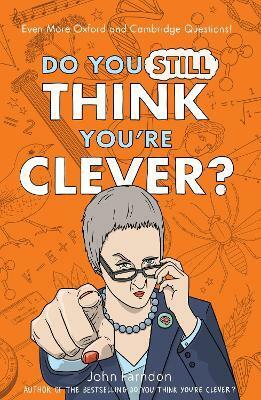 Compare New Book Prices for Do You Still Think You're Clever?